The American Journal of Clinical Nutrition published the results of a meta-analysis that collected data on the effect of dietary vitamin C on blood pressure regulation. 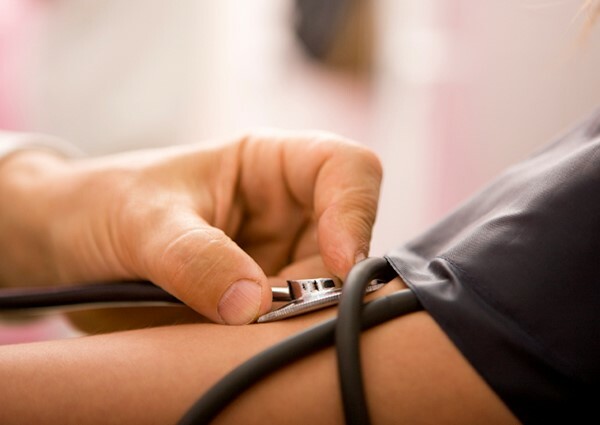 High blood pressure is a leading cause of cardiovascular disease in the US that affects approximately 1/3 of all adult Americans according to the American Heart Association. This meta-analysis compiled data from twenty-nine clinical trials. The median oral dose of vitamin C was 500 mg/day, the median duration of the trials was 8 weeks, and trial size ranged from 10 to 120 participants. The statistical analysis of the data showed a decrease in systolic and diastolic blood pressure in both normotensive and hypertensive individuals. The changes in normotensive individuals averaged -3.84 mm Hg and -1.48 mm Hg for systolic blood pressure and diastolic blood pressure respectively. The change observed in hypertensive individuals was even greater, with corresponding reductions in systolic blood pressure and diastolic blood pressure of -4.85 mm Hg and -1.67 mm Hg. Reductions as little as 0.8 to 2 mmHg in systolic blood pressure have shown clinically significant results in reducing the risk of heart disease, heart failure, and stroke. This study is encouraging because it shows another dietary method that may be useful in managing blood pressure. The authors do note however, that before vitamin C can be recommended as a form of treatment further studies must be performed that include larger sample sizes, are of longer duration, and that pay particular attention to the assessment of blood pressure. Juraschek SP, Guallar E, Appel LJ, Miller ER. Effects of vitamin C supplementation on blood pressure: a meta-analysis of randomized controlled trials. The American Journal of Clinical Nutrition. 2012;4(9). Pete worked his way through college by pumping gas on the midnight shift at a Mobil Oil service station in East Lansing, Michigan. He graduated from college in 1971 with High Honors, and a Bachelor of Science Degree in Mathematics, Physics and Chemistry from Michigan State University. Pete had planned to teach math and science in high school. However, managers at Mobil Oil recognized Pete’s determination and work ethic as he worked long hours to pay for his education, and offered him an entry level position with Mobil. While Pete found his Mobil career to be rewarding, he was also becoming “burned out” by the demands of long hours, frequent travel, and having to produce increased results with fewer employees and resources lost due to cost-cutting. The company was “reorganizing and downsizing” almost every year, and each time Pete had to terminate many employees, many who had become friends of his over the years. However, as Pete read about USANA on that day in October, 1994, he became increasingly interested in what the then two year old company had to offer. Pete saw USANA’s proven products which offered a true value to the consumer, whether or not they chose to participate in the compensation plan. 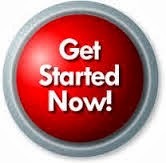 He saw the power of USANA’s cellular compensation plan which allowed new people to start earning weekly commissions quickly, while also allowing associates to build their income to whatever level they desired over time. He also saw a well-managed company led by visionary scientist Dr. Myron Wentz, and supported by business leaders, athletes and other scientists. Pete’s corporate career was going fairly well, too. Although the long hours and increasing workloads at Mobil continued, Pete continued to be on the list of managers who kept their jobs during the frequent waves of downsizing and cutbacks. In fact, Pete celebrated his 25th anniversary with Mobil the same month that he became a USANA Silver Director. Mobil threw an anniversary party on Pete’s behalf and even gave him a gold (plated) watch! 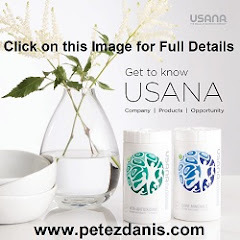 Pete and Dora’s USANA business continues to grow steadily. They stuck with their plan of sponsoring an average of two or three new associates every month and advanced to Gold Directors on September 1st, 1995, less than one year after they joined USANA. By working closely with all of their USANA team members, as they continue to do to this day, their business began to flourish as they advanced to Ruby Director, Emerald Director, Diamond Director and their current level of 1-Star Diamond Director. Pete and Dora have been USANA “Top 20” income earners for over fifteen years, and have been members of USANA’s fast-growing “Million Dollar Club” since the beginning of that recognition. 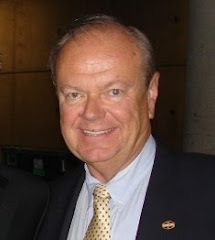 They have been a member of USANA’s “Fortune 25”, and have been members of USANA’s Independent Distributor Council (IDC) for many years, serving as IDC Presidents for the 2003 – 2004 term. As USANA IDC members, they played a critical role in helping USANA emerge as one of the most formidable companies in the network marketing industry. 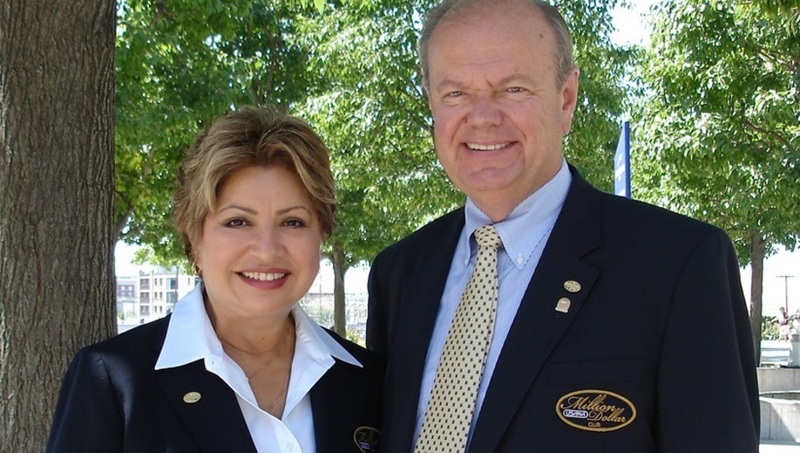 In December, 2014, USANA recognized Pete and Dora, along with 40 other USANA distributorships as Inaugural Foundation Executive Diamond Directors. This exclusive group of people was selected out of over 290,000 USANA Associates in 19 countries for their business performance and service to USANA over the years. Requirements for this honor included maintaining the rank of Diamond Director for 10 years or more, as well as earning over $100,000 per year in commissions for a minimum of 10 years. USANA has become much more than a business for Pete and Dora. USANA has become their passion. They fully support Dr. Wentz’s vision and USANA’s mission, and take pride in the fact that they have played a role in helping thousands of people reach their personal and financial goals with USANA, and they continue to do so every day. Many of their training and business building concepts have been implemented on a corporate-wide basis. While they have achieved many milestones in USANA, Pete and Dora have no intention of “retiring” any time soon, and look forward to the opportunity to continue to share their knowledge and training with all new members of their USANA team.